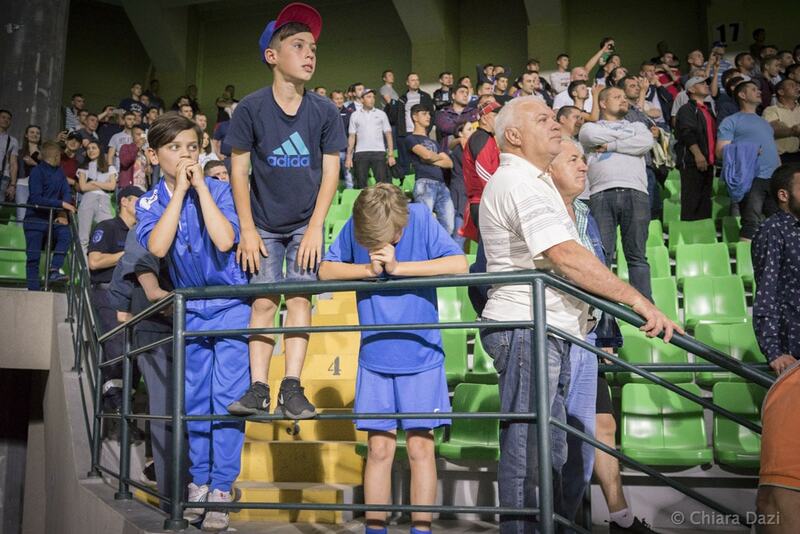 The Futbolgrad Network was in Chișinău to bring you the best photos of the Moldovan Divizia Națională final between Dacia and Sheriff. 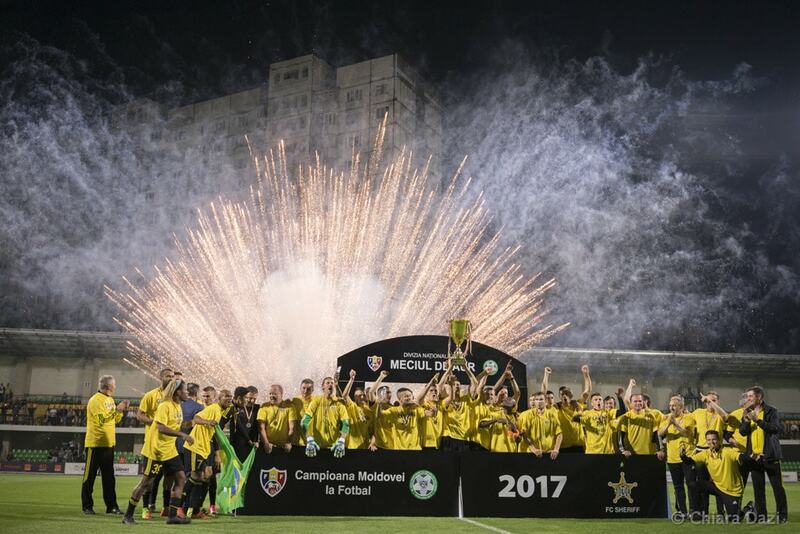 The Moldovan Divizia Națională concluded in late May with Sheriff Tiraspol and Dacia Chișinău finishing the season with 69 points each. Although Tiraspol were ahead thanks to the better goal differential, the regulations of the Moldovan National Division determine that in a case of two teams finishing the season with even points a golden match will have to be played to determine the national champion regardless of the goal differential. The standings in the table meant that Dacia from the Moldovan capital was pitted against Sheriff from the capital of the semi-independent Republic of Transnistria. There were, of course, political implications to the match. 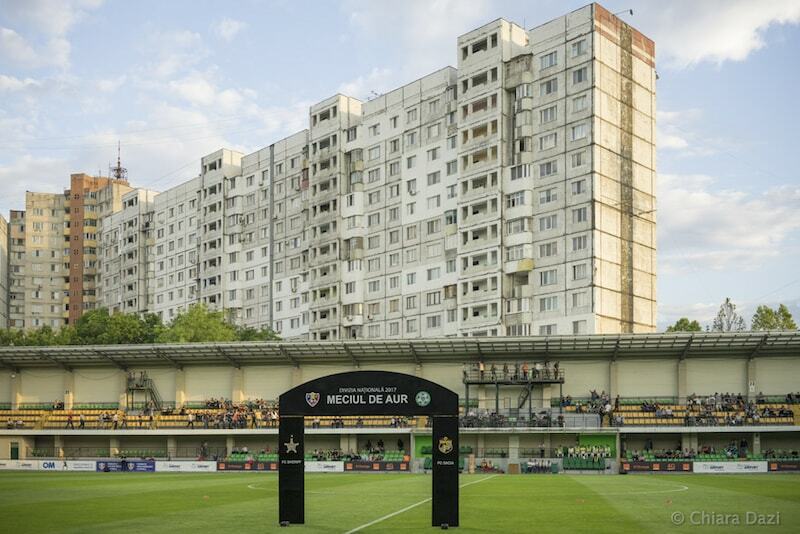 On the one side was a team representing the Moldovan speaking part of the country and on the other hand was the heavily privately funded club from the Russian-speaking Republic of Transnistria. Since its foundation in 1997 Sheriff have become a symbol of the Republic of Transnistria. 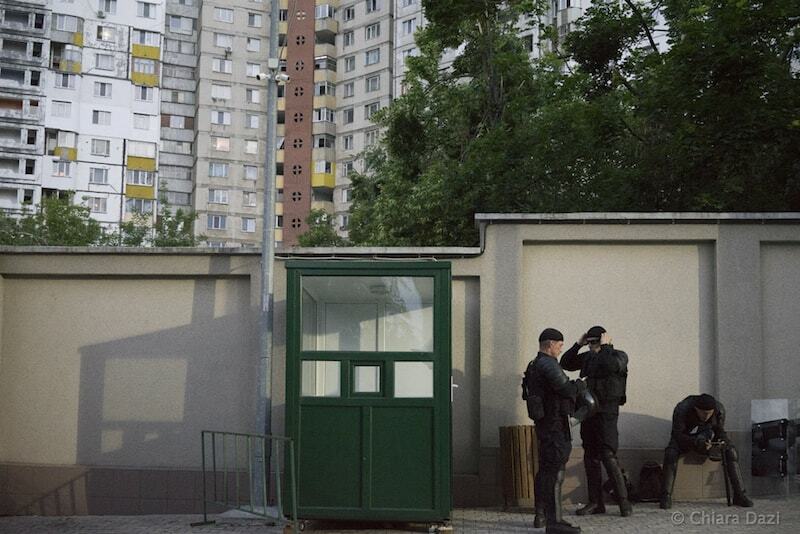 Funded by the Sheriff Corporation, which was founded in the 1990s by two former secret service agents, has very much become the representation of Transnistria’s desire to become an independent nation. It was therefore certainly some matter of contention on where the final would be held. 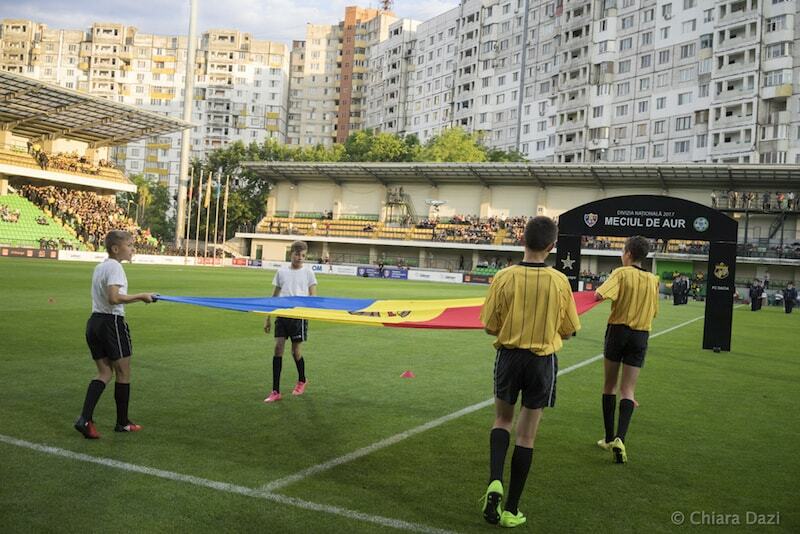 In the end, Moldovan Football Federation (FMF) scheduled the match to take place at the Zimbru Stadium in Chișinău. 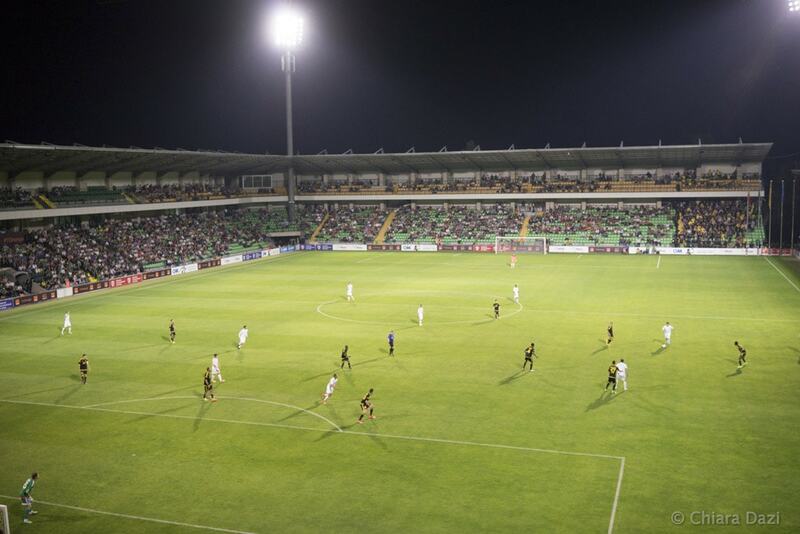 Technical a neutral ground the Zimbru Stadium is the home stadium of Dacia’s local rival Zimbru. 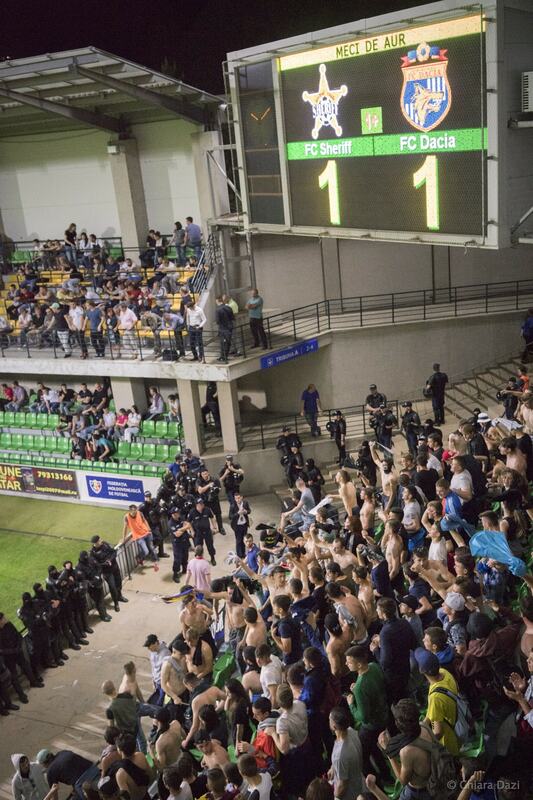 Dacia, of course, had the geographical advantage as the game was played in their home city. 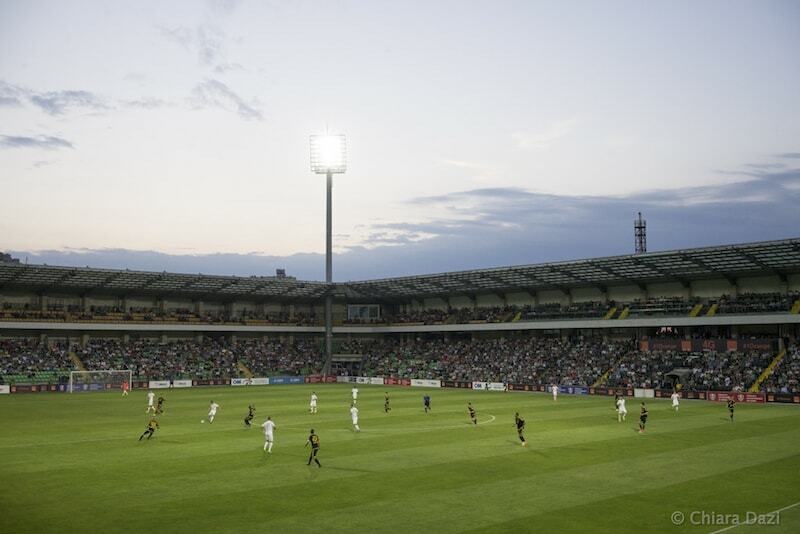 But despite the advantage of playing the game in Chișinău, it was Sheriff that took the early lead through Vitalie Damașcan in the 37 minute. Dacia, however, struck back in the 73 minute when Veaceslav Posmac found the back of the net. The tied scoreline meant that the game had to go into extra time and eventually had to be decided on penalties where Sheriff showed their superior experience to win their second championship in a row. The Futbolgrad Network has partnered up with Chiara Dazi to bring you the best pictures from Sheriff’s championship. Enjoy! 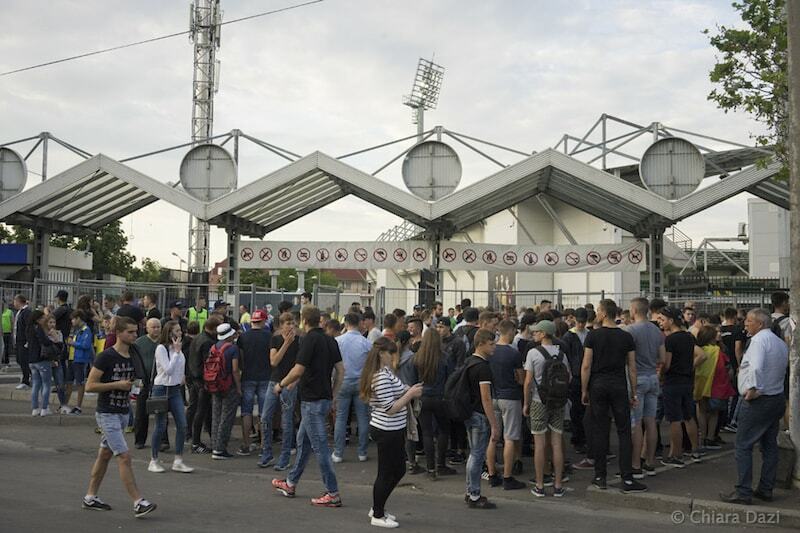 Fans wait to enter the stadium ahead of the golden match between Dacia and Sheriff – Image by Chiara Dazi. The match took place on neutral ground but Sheriff supporters were clearly in the minority. Image by Chiara Dazi. Those guards seem to care little about the football match. Image by Chiara Dazi. 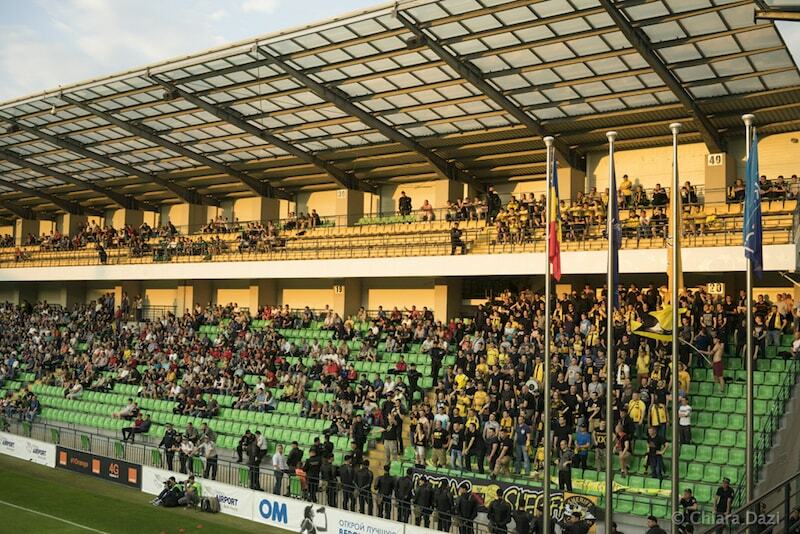 The fans kept up their support throughout the 120 minutes. Image by Chiara Dazi. You win and you lose Dacia fans after Sheriff won the match. Image by Chiara Dazi. 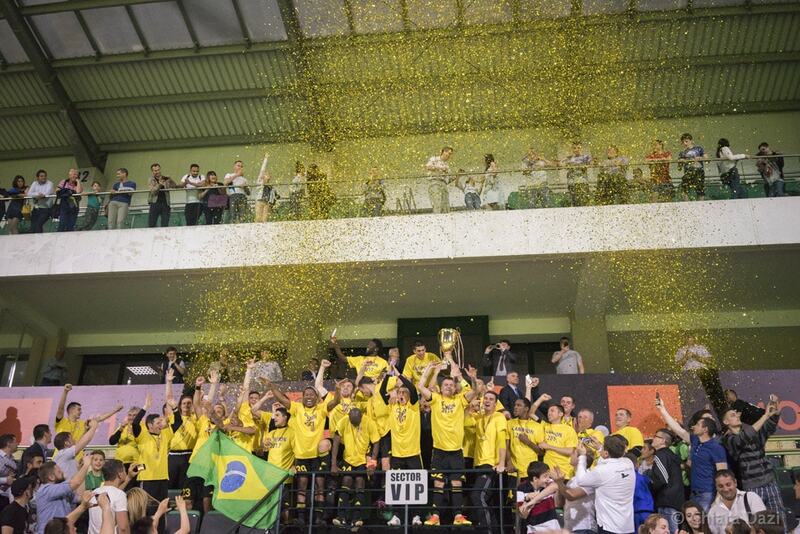 Sheriff players celebrate another Moldovian championship. Image by Chiara Dazi. Football is love and joy. Image by Chiara Dazi.